Often, we see people meeting a psychiatrist to find solution for their mental disturbance. In earlier times, when somebody was seen contacting a psychiatrist that person was considered mentally unstable. However, the truth is that a psychiatrist’s job is to listen to something that you don’t feel good about or bothers you a lot because of which you have stress in your life. Sometimes, it is medication that helps people who suffer from stress and panic attacks. However, those who are at an early stage of depression and anxiety can sort out things by just talking. Meditation is also one way to treat any kind of problem that’s disturbing your families and relationships. Depression is a destructive disease that affects a person physically, mentally, financially etc. Thus, people suggest getting in touch with a psychiatrist who let you talk out your problems and they don’t prefer giving suggestions but only listen to your frustration. This is called talking therapy where the patient is given the chance to speak out his or her mind. It is a time taking therapy but surely helps a person. There are many stages in talk therapy that a person has to undergo. Therefore, you need to find a good clinic or institute that helps you with it. One such clinic is Naya Clinic who believes more in new Positive Existential Therapy instead of the outdated Cognitive Behavioral Therapy. They have a list of best new therapist who always wants to try new therapies with their patients. To know more about them, visit their website NayaClinics.com. Cognitive Behavioral Therapy helps people realize what they are thinking and believe is false and gives them a chance to change their thinking. Through various practices people learn new and healthy behavior. 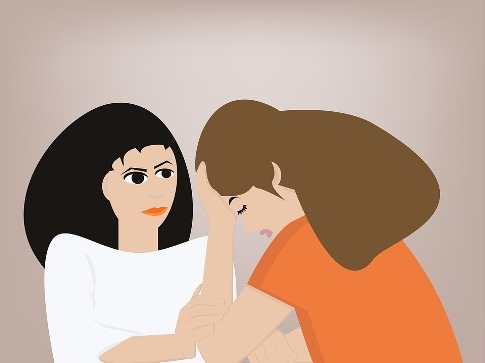 Dialectical Behavior Therapy which is similar to CBT but, believes that the patient’s feelings are reasonable but they also help to change their unhealthy behavior. The therapists constantly remind them about their unhealthy behavior and teach them to handle their skills in a better form. Interpersonal Therapy doesn’t change a person or its behavior but, teaches them new skills to reduce certain social unhealthy symptoms. Instead of understanding a person, the therapy changes them to adjust with situation. Family Focused Therapy concentrates on all clashes between family members that are affecting the depressive person and its health. It teaches all family members to resolve their conflicts in a special way rather than arguing and fighting. Apart from talking therapy, there are other kinds of therapy that helps in resolving a person’s life. For example, light therapy, art therapy, animal assisted therapy, eye movement therapy and prolonged exposure therapy. Each has its own value and importance to bring back a person to normal life. There are millions of people who are victims of stress, anxiety and depression. It is no harm if you get it treated immediately. Prolonging problems can only lead to family issues, tension and illness. Sometimes it also takes a toll on your financial condition because to overcome this issue you start drinking or gambling.